Every Land Rover, be it a Series 1, 2, 3 or Defender, are now judged to be a classic car, so we believe that they deserve the paintwork of the finest classic cars. There is a 5-stage process from start to finish, all completed within our in-house, state -of-the-art Land Rover Paint Shop. Original paintwork is either stripped or blasted leaving the original bare metal surface. Any dents, damage or corrosion is repaired at this point. 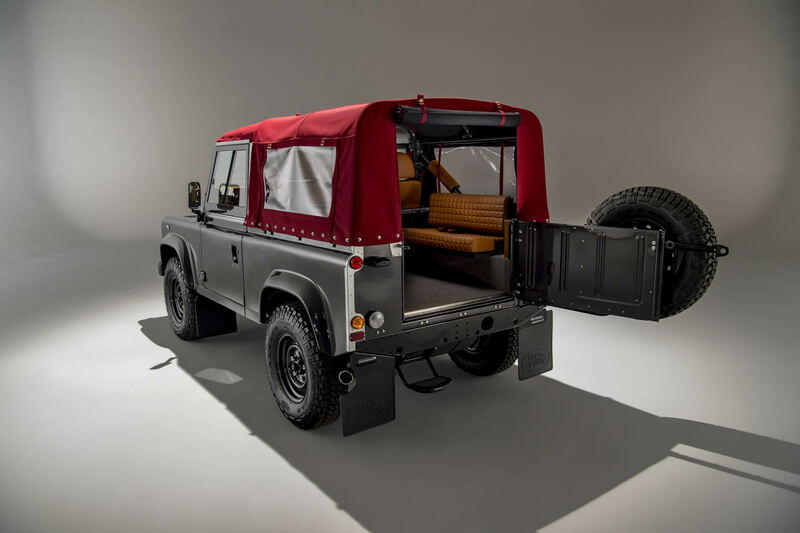 Land Rover body panels were originally made from an aluminium alloy called Birmabright which was very resistant to corrosion, however where steel and aluminium are in contact with each other over time corrosion takes over. Any corrosion is eradicated. Dented panels are beaten by hand to the original shape. Each body panel is rubbed down to create an etch surface for the first stage primer to adhere to. A second base primer is then applied before the surface is checked and flatted back ready for the colour to be applied. Once you have chosen your colour we apply a base coat to each body panel individually. This may be several coats before a lacquer is applied finishing off the paint process. Each panel is wet flatted by hand to ensure a perfectly flat finish before various grades of polish are applied to achieve a lustre never normally found on a Land Rover. These stages ensure that your Land Rover paintwork will endure for many years.